According to the International Air Transport Association (IATA), airline passengers generated 5.2 million tonnes of waste in 2016, most of which went to landfill or incineration. This figure is expected to double over the next 15 years. Once a plane has landed, huge volumes of disposable items are thrown away. Apart from plastic waste (including cutlery), toilet waste is included in the waste stream – so are the miniature wine bottles, half-eaten lunch trays, unused toothbrushes, empty plastic water bottles, napkins, discarded packaging. Airline waste management is now an area of great concern. Iberia Airlines in partnership with Ferrovial Services prepared a scheme that could recover 80% of cabin waste coming into Madrid’s Barajas airport by mid-2020. 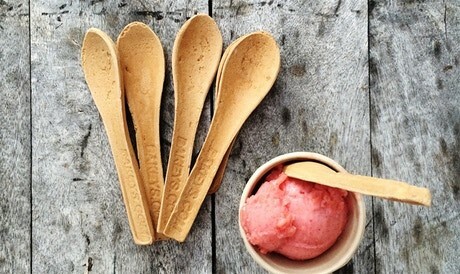 The scheme will explore low-packaging meals and reusable cutlery. Designing cabin products with waste minimization will be another strategy. Qantas, for example, is combining its charity donation envelope with its headset package, cutting one polythene bag per passenger per flight. America’s United Airlines has switched to compostable paper cups and last year began donating unused amenity kits to homeless and women’s shelters. Virgin Airlines has set up a system for recycling all parts of its headsets, including ear sponges, that are now used as flooring for equestrian centers. IATA’s head of environment feels that unrealistic and unreasonable waste related regulation is a major challenge. The EU animal health legislation, drawn up as a reaction to diseases like foot and mouth, dictates that all catering waste arriving from outside EU borders be treated as high-risk and incinerated or buried in deep landfill. A coffee cup from the US, for example, will be treated as hazardous waste because it might have had milk in it. Donating uneaten food to charity is impossible. A more rational approach is needed, one which identifies elements of cabin waste that pose a risk to health and considers the stringent hygiene standards airlines are already subject to. Another challenge is getting cabin crew’s buy-in for waste segregation right in the aircraft. Iberia Airlines has introduced recycling bins attached to service trolleys — so that in-flight waste can be easily sorted. About 2,500 cabin crew members will be trained in the basics of waste separation as part of the push. Emirates has also introduced segregation facilities on board, for easy sorting of glass, plastic, aluminum, and paper products. But environment is not the only concern. According to IATA, cabin waste costs the airline industry $500 million plus each and the costs will rise steeply thanks to growing fees to be paid to landfills for disposal. The airlines are therefore focusing on a product’s full life cost, rather than unit price, and invest in more durable headsets or blankets and ditching disposable products. This can be a game changer. Flexible catering is one-way airlines could curb waste. 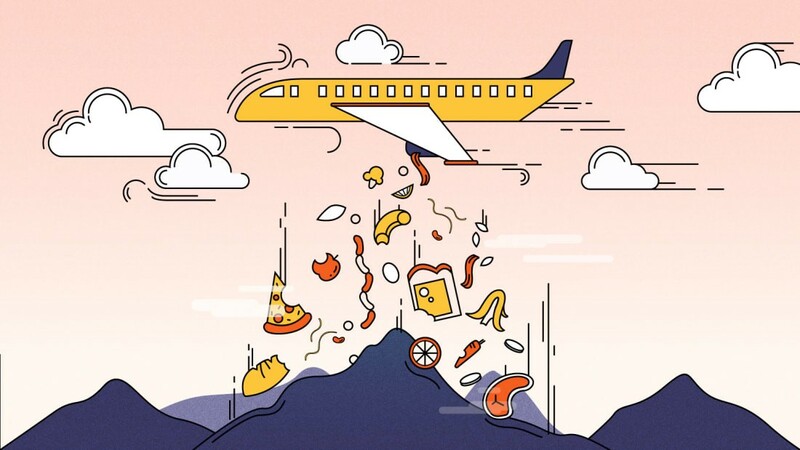 Airlines are now “predicting” likely meal preference of the passenger based on the frequent flyer and other behavioral data such as spending habits and consumption. This is the future where big data analytics and artificial intelligence will be used. Another solution is the pay-as-you-go approach, where travelers order meals before a flight as followed in most low-cost carriers (LCCs) around the world. By providing this system — where passengers buy meals using an app or website — airlines can simultaneously meet demand and minimize waste. This approach is now followed by full-service international airlines as well, with the likes of SAS, Japan Airlines, Singapore Airlines and Qantas. Reliance on plastic and paper also contribute to the issue, but some airlines are experimenting with recycling solutions and packaging alternatives to minimize waste. 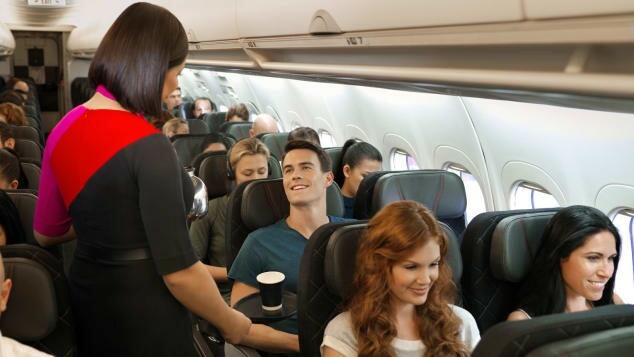 Qantas has begun to use recycled materials for its packaging as well as plastic-free headsets. Emirates has introduced eco-friendly blankets, made from recycled plastic bottles. The airline expects this amenity to rescue more than 12,000 tons of bottles from landfills by 2019. There is a huge benefit of such upcycling. Back on the ground, several airports have installed waste management systems that are innovative and effective. Waste Management Best Practice in the Global Aviation Sector Leading international airports are now targeting and achieving diversion rates as high as 80%. This is achieved through on-Site Materials Recovery Facilities (MRF) and Waste to Energy Plants. Uptake of MRFs is high where the prohibitive cost of landfill supports commercial viability. To reduce transportation and landfill space and harness energy, Gatwick airport in London opened an on-site waste-to-energy plant. Bengaluru’s Kempegowda International Airport (KIA) is in the process of installing an in-house integrated solid waste management facility based on biomethanation to deal with the 20 tonnes of organic and inorganic waste generated every day. KIA also plans to reach out to stakeholders such as concessionaries, F&B and retail outlets and persuade them to use recycled products made out of the inorganic waste. The airport will sell the recyclable material such as glass and plates to other manufacturers as raw material. This will make KIA the first airport in Asia to initiate in-house integrated solid waste management. I took a flight to New Delhi today on economy class. When food was served, there was no option – Veg or Non-Veg. “All food is Veg Sir”, said the air-hostess – We want to minimize the waste generation sir”. I was anyway going to opt for a veg meal. My co-passengers tray had a Gulab jamun, but my tray didn’t. When asked, she smiled and said, “Sir, we use big data analytics and expertise of companies like Cambridge with backing (or hacking?) of databases like Facebook. This helps us to diagnose passenger food preference before boarding the flight”. I was surprised to learn that these sophisticated techniques were not anymore limited to politics and elections. The air hostess continued. “We found out that you are diabetic type II person with H1bAC of 7.5 around, so there is no point to serve you the Gulab jamun”. She gave a sweet smile that did not raise my blood sugar but only the heart beats raced! I thought she was right. If served, I wouldn’t have had the Gulab jamun and hence it could have been a waste. The airline was clearly waste-wise. I thought that this was impressive. I took a good bite of the edible spoon after relishing the idli Sambhar. We had another hour to go to reach Delhi. “Will this transformation sustain?” I wondered. But I decided not to think about the ground realities while 30000 ft up in the air. ← Who “Drives” India’s Agenda on Sustainability? I wonder what it is like in Bullet trains ? !